I wrote my previous post, Much Ado About Everything on June 6. In the past two months, I have been building a new course titled “Adventures in American Art,” and that has sucked up just about every minute of every day, leaving me neither time nor energy to write posts. I am not complaining: I learned a lot, and I am eager to start teaching again in September. What I do miss, however, is doing aesthetic analysis. Does this surprise you? Why, you may be thinking, would I not be doing aesthetic analysis as I built the course? As much as I hate to admit it, the reason is quite simple: the research seduced me. Many books are scattered on my family room floor. I finally read them, all of them, and I learned everything about the artists whose work I will discuss in the course. I know their life stories; I know whom they married or did not marry; I know where they went to school; I know where they traveled; I know whom they hung out with, what illnesses they had, what setbacks and triumphs. In short, I took the road most traveled and, so far, I neglected to study their paintings myself to understand and evaluate their aesthetic contribution. Two days ago, a colleague shared with me the first class of the course he is building on Harry Sefarbi’s work to coincide with a Sefarbi exhibit at the Wayne Art Center opening September 21. Unlike me, he had limited information about Sefarbi’s life and work, so he did the objective analysis, himself, painting by painting. I felt a stab of envy. Where had I gone astray and why? Ignore the adventitious. There it was, almost. The more important reason: laziness. Careful, firsthand observation takes time. It takes energy. It takes confidence. After almost 40 years of using the objective method, I found it easier to research what other “experts” said about individual paintings then trust my own judgment and do the laborious work to define their aesthetic content. I knew what I had to do. I had to take some medicine, and this medicine had to be compounded carefully. 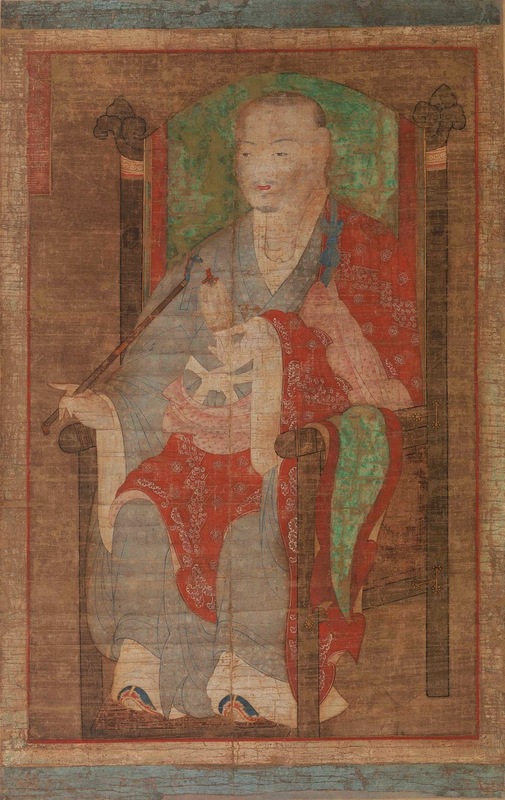 I selected the following two pictures for those reasons, and because Dr. Barnes, as early as 1925, compared Demuth’s Bermuda: Houses Seen through Trees with Portrait of an Abbot, a late 18th century portrait of a Chinese figure, illustrating them side by side, in the 1925 edition of The Art in Painting. I found the comparison “stretched,” as my students often complained when I showed them traditional similarities in the work of seemingly disparate artists or subjects. If this method is to work, it is our job to verify the analysis of others, even if those others are Albert Barnes and Violette de Mazia. We must scrutinize and ask questions of books and persons. Didn’t I say this takes courage? Upside down, their subjects morph into color shapes, and the differences between a landscape and a man seated disappear. A series of patterns emerge. 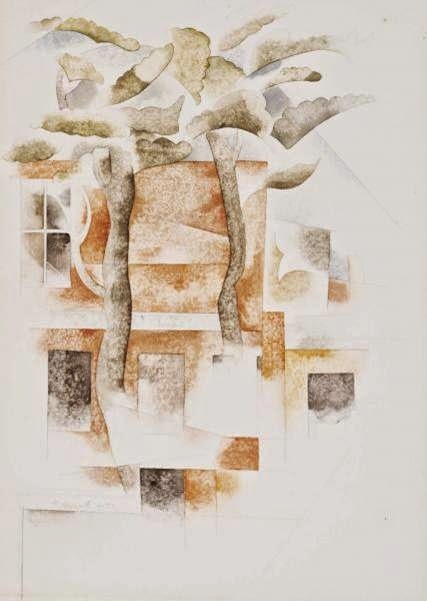 Tree trunks in the Demuth become mottled, gray, vertical, curvilinear, sinuous bands that push back and set off rectilinear, shimmering, orange/tan color shapes. These rhythmically repeat in varied arabesques of gray, white, and tan. 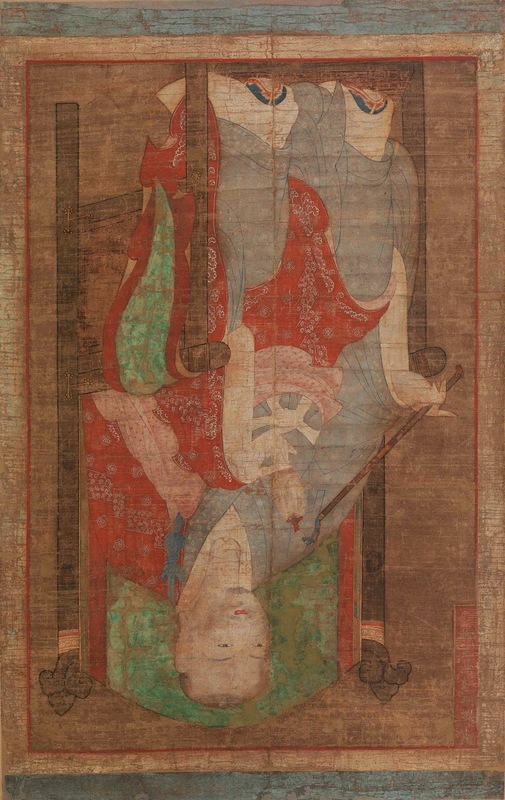 The figure in the Korean picture becomes a series of vertical, light, tan curvilinear color shapes (the arms and hands) that set off and push back a series of red, sinuous color shapes (the decorative fabric of the robe). Rhythmically supported in the dark brown grids (the verticals and horizontals of the arms and back of the chair), the picture units move back and forth in shallow space in ways similar to Demuth’s. In both, you see a rhythm of interpenetrating angular planes with an intertwining arabesque movement of various units set in shallow space. In both, you see delicacy and floating lightness. In both, the lines are carefully drawn, fine, linear boundaries. There are differences as well. Demuth’s picture is less illustrative. 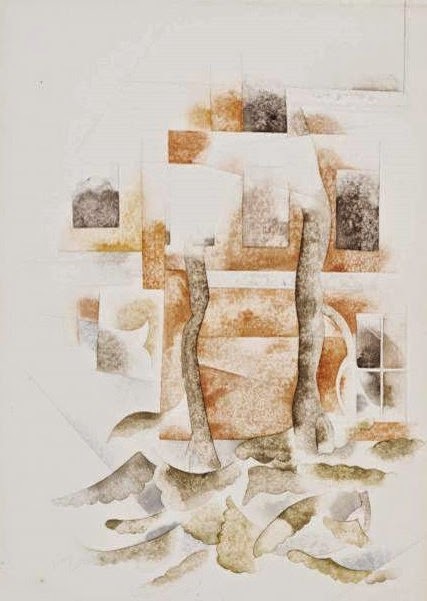 Demuth combines decoration and illustration in a highly effective design based on elements in Cézanne’s form. It is a series of delicate, well-defined planes of contrasting color which draw and model the units and set them in space. This dose of medicine restored me. These pictures shared their secrets with me because I spent time with them, used the tools available to me to do the work, and I felt that warmth of excitement that accompanies genuine perception. Many current students say this too. They feel offended by Dr. Barnes’ strong “opinions,” as they term his conclusions, especially when they do not agree with them. I am grateful personal and arbitrary preference can be mitigated by the careful and skillful application of a set of tools that uncover the art in painting. How do you feel about this? Do you resist doing objective aesthetic analysis? Please let me know either below on the blog or via email. For an email response, Click here.